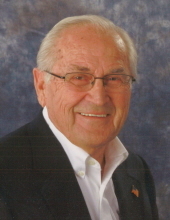 James K. (Jim) Duncan, 92, of Paducah, Kentucky, passed away at 2:45 p.m. on Sunday, April 7, 2019 at Baptist Health Paducah. Funeral services will be held at 1:00 p.m. on Friday, April 12, 2019 at Milner & Orr Funeral Home of Paducah with Rev. Rob Ison officiating. Burial will follow at Maplelawn Park Cemetery. Visitation will be from 5:00 p.m. until 8:00 p.m. on Thursday, April 11, 2019 at the funeral home. Expressions of sympathy may take the form of contributions to, Reidland Baptist Church 5559 Benton Rd. Paducah, KY 42003. To send flowers or a remembrance gift to the family of James K. "Jim" Duncan, please visit our Tribute Store. "Email Address" would like to share the life celebration of James K. "Jim" Duncan. Click on the "link" to go to share a favorite memory or leave a condolence message for the family.